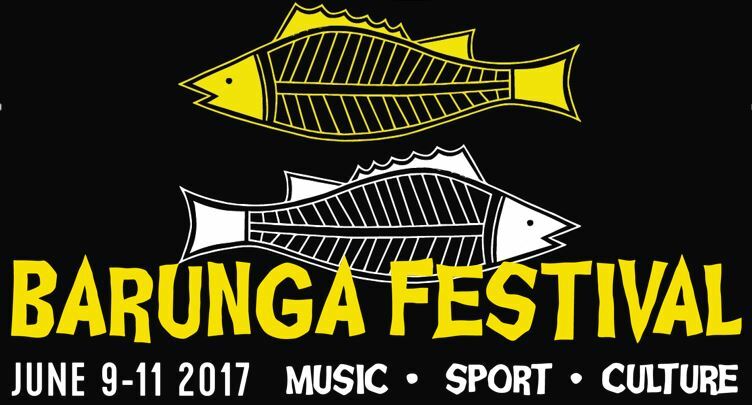 The fee paid to Barunga Festival includes your return bus travel ex Darwin CBD or Darwin airport and the Barunga venue. It also includes your entry and camping fee. For The Backpacker Service customers, you will need to bring your own camping gear or you may be sleeping under the stars in rather cold conditions. We only carry enough camping equipment for those who have booked. Extras will not be carried by ManYou Travel. For The Premium Service customers, ManYou Travel provides camping gear for your convenience at the Barunga Festival. We provide you with a tent (please specify when booking how many people you will have to a tent). We also provide you with a sleeping bag, and foam camping mattresses & a camping chair each. You will need to provide your own pillow or similar. All camping gear is guaranteed either brand new or professionally cleaned since the previous use. If camping doesn’t appeal there are hotel/motel options in Katherine. Please advise us at the time you make your booking if you wish to take advantage of the hotel option. ManYou Travel will provide a shuttle bus to Katherine for your convenience at the rate of $220 in and $220 back ($440 for the round trip), regardless of the number of passengers. We have costs of transport and wages, which need to be met. If available, it may be cheaper to hire a taxi if there are only a couple of travellers using hotel accommodation. Hotel charges and bookings can be made by arrangement with ManYou travel for an additional cost to the traveller. No food will be supplied by ManYou Travel during the Barunga Festival. Bring adequate cash for food & drink for 3 days and any souvenir or art purchases you may wish to make while at the venue. No food facilities or cooking equipment will be carried on the bus or provided by ManYou Travel. Barunga is located 70kms south-east of Katherine, or approximately 400km south east of Darwin (about 4 hours driving time plus breaks) on Central Arnhem Rd. We will depart Darwin CBD at 10am on Friday June 9th & make a pick-up at the airport. Then travel to the Barunga site, stopping en-route for a convenience break & some lunch (own responsibility) fuel in Katherine. We expect to arrive around 3:00-4:00pm & then set up the tents. Barunga is a dry community, and the Festival is a strictly drug and alcohol free event. Please do not pack any alcohol or illegal substances in your luggage and do not carry any on you, because there will be police checks on the road to Barunga and our service may be searched. We will not be held responsible for your indiscretion or for your breaking of the law. It is you who will have your stuff confiscated, and you may also be arrested, depending on the severity of the situation. All passengers will be requested to sign a declaration and waiver prior to departure. There will be a combination of portable and permanent toilets on site, but showering facilities are very limited. Bring your own bathing needs and a pair of thongs to wear in the shower for hygene purposes. There is a beautiful (croc free) river to swim in! All food while at Barunga is the responsibility of each individual, couple or family. Barunga Festival 2017 has a healthy food policy. A variety of food options will be available at reasonable prices throughout the Festival. The Outback (general) Store in Barunga is incredibly well stocked and surprisingly affordable. Support the community by buying locally if you can! Entry fee valid for 3-day Festival (includes camping fees). Venue access is till lunchtime on Monday June 12th, so we must be packed and gone by then. Wristbands will be issued at the gate and MUST be kept on for the duration of the Festival. If you lose your band, report immediately to the ManYou Travel staff who will attempt to make arrangements for a replacement. Traditional Aboriginal arts and crafts will also be available. e.g. There will be workshops in making and playing the Didgeridoo, Spear making and throwing, aboriginal art & more. Softball, basketball and rugby games will also be available for your participation. However, be aware the basketball is usually played at a VERY high standard. There are 2 stages where performers will be entertaining the guests. Choose the style of music and/or performance that suits your taste best and kick back and relax. NEVER leave cash, jewellery, electronic devices or other valuables unattended in your tent. Charging your mobile phone or other electronic device on the site may range somewhere between extremely difficult and impossible. Mobile coverage. The Telstra map says 4G only, so expect a weak signal at best. Optus and Vodafone have no coverage. International passengers will have a couple of hours free time in the afternoon, and are booked into a Darwin Harbour dinner cruise in the evening of Monday 12th June. Please refer to the Barunga FAQ for answers to common questions.